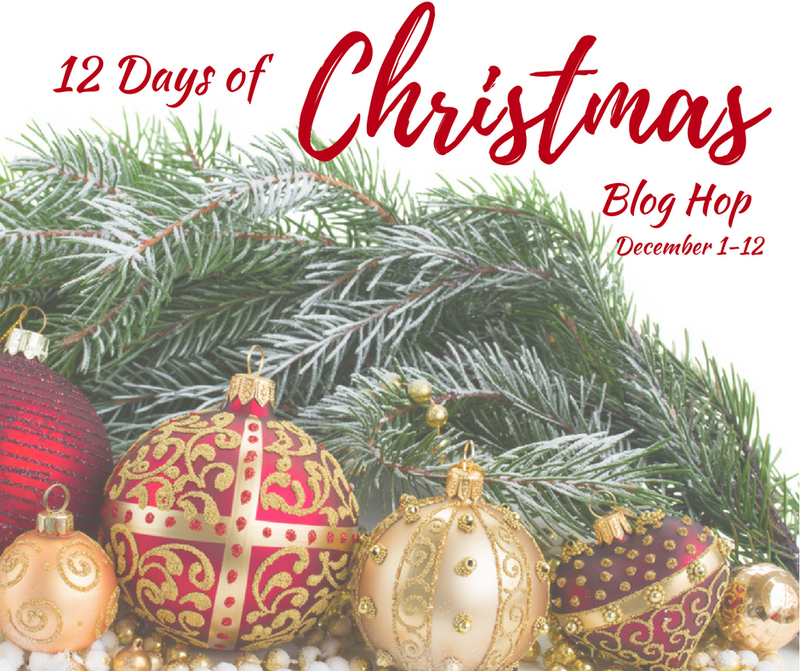 The 12 Days of Christmas are rapidly arriving with dazzling lights, packages are under the tree, cookies baking in the oven. Sharing our home at Christmas is quite an honor. Come on in grab a cup of cheer let's celebrate this wonderful time of year. 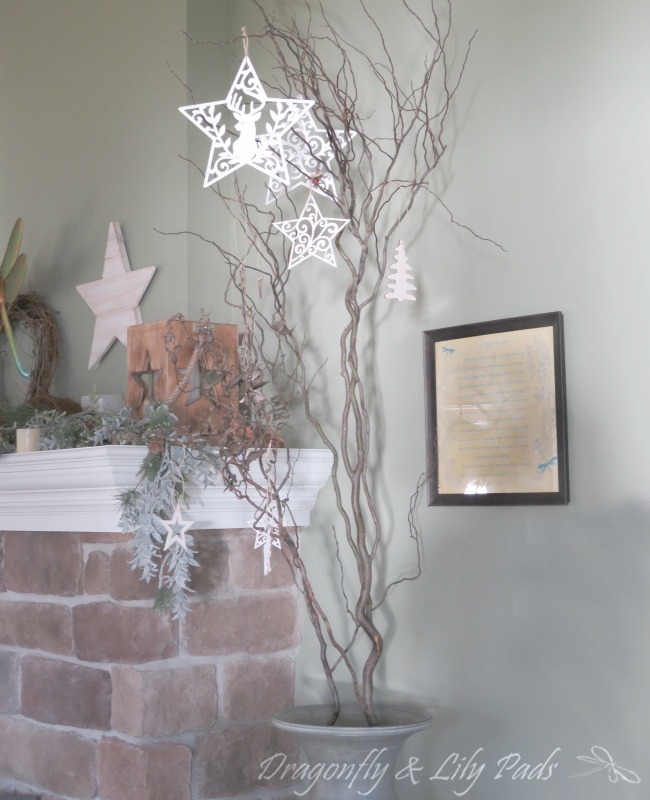 We have white Christmas trees, one made of curly willow, and another filled with the story of our family. Yes that is right, today is the final day of the 12 Days Of Christmas showing our trees for our viewing pleasure. 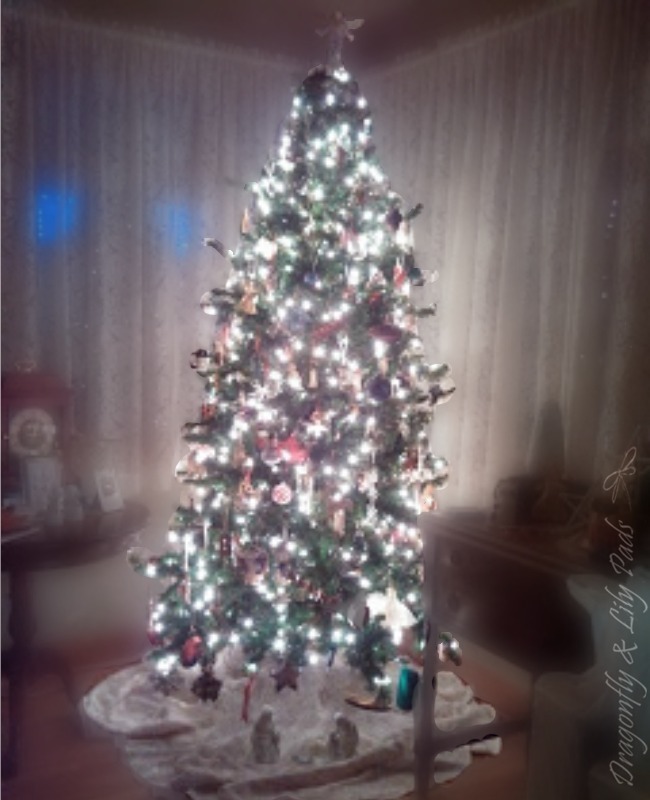 Our Christmas tree decorating has evolved as our journey has transitioned us during our life.. We have the soft white tree which is adorned with white lights, pastel ornaments and accents of gold. 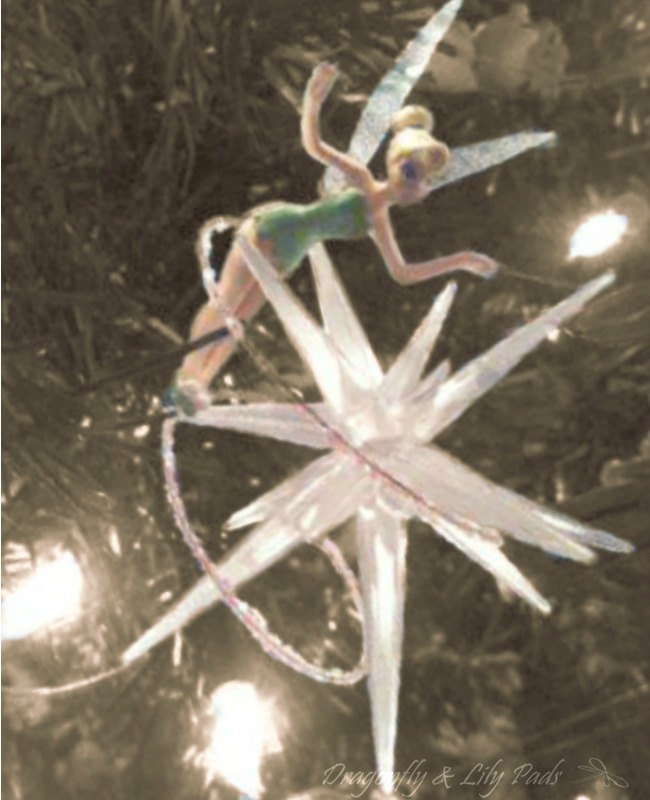 The bisque angel above is a special gift from my brother and sister-in-law. 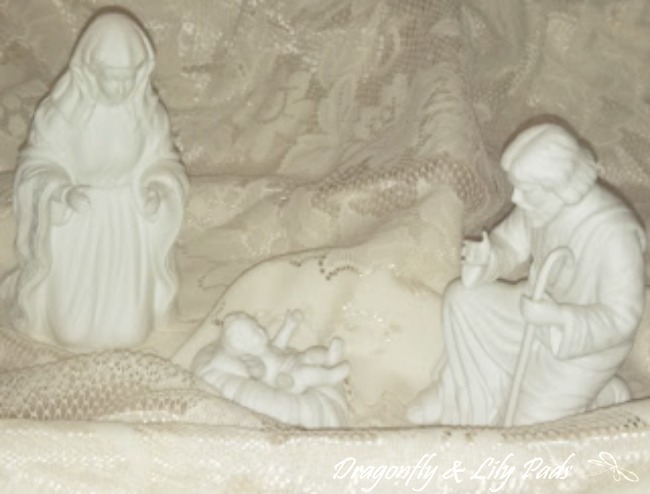 Below the tree is a lace tablecloth lined with a blush shade of taffeta to create a tree skirt making a perfect place to host the Holy Family. while visions of decorating danced in my head. I love this part of our decor in the lake house. I even change the ornaments during other seasons. 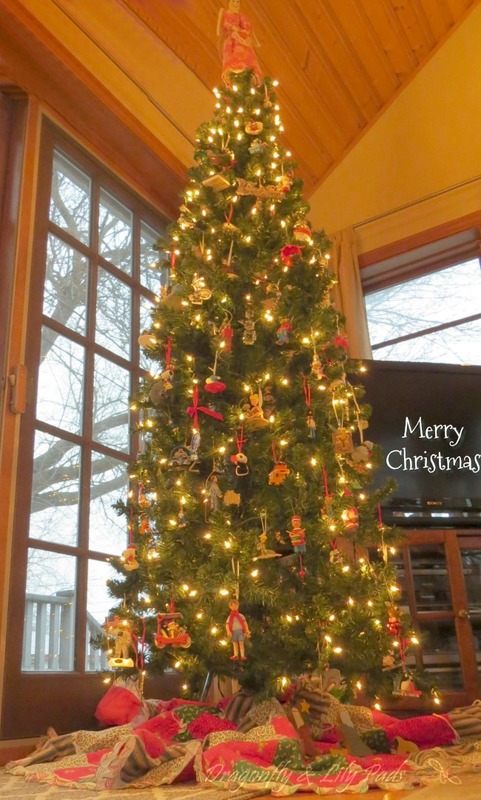 Last but not least is our tree filled with ornaments telling the story of our family. 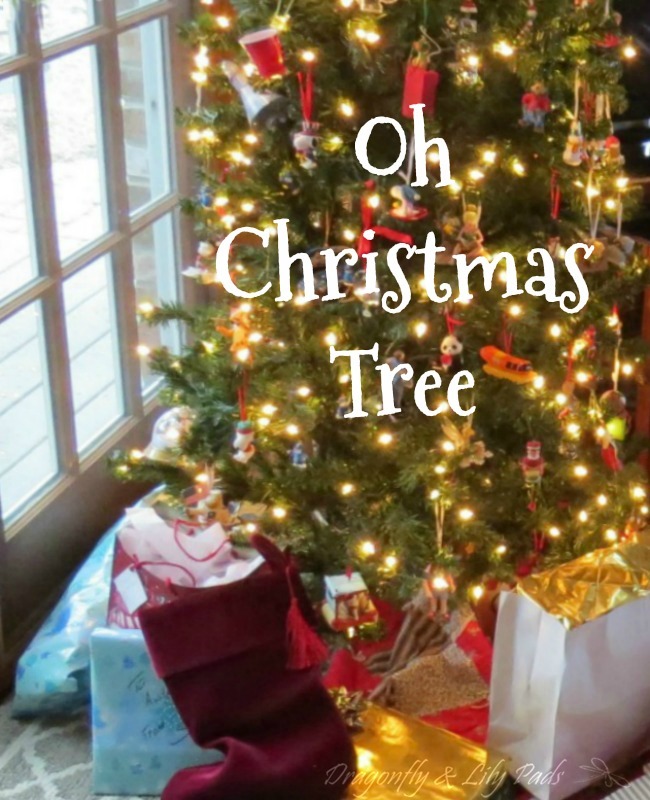 The first Christmas we celebrated as newlyweds was when I made the angel and tree skirt. The boys baby pictures, favorite characters and heroes are all tied on with ribbon. The ribbon was my choice of attaching the ornaments to the tree. That way the kids could take them off the tree to play with as toys during the holidays. If you look closely you will see an astronaut, Fred & Barney in the Flintstone Mobile right next to Christopher Robin. All part of our families story. My husband is related to the last man on the moon. I hope you enjoyed our visit it would be great if you Pin It. Question of the day- What color is your Christmas tree? Your trees are all beautiful. Great idea to use ribbon because I realized this year decorating the tree, it was hard for the kids to use the ornament hangers. I will be adding ribbon to them before I put them away this year.